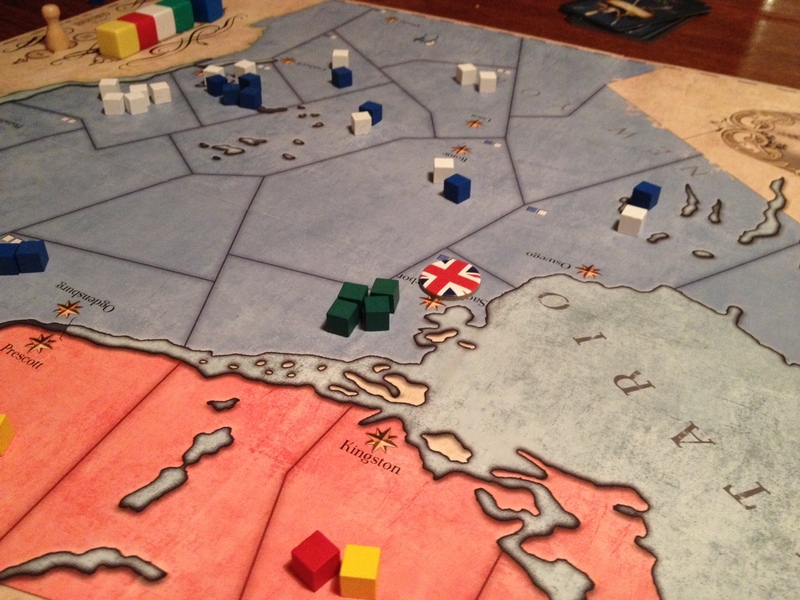 Father’s Day was commemorated in Lower Canada today with a family game of 1812: The Invasion of Canada. 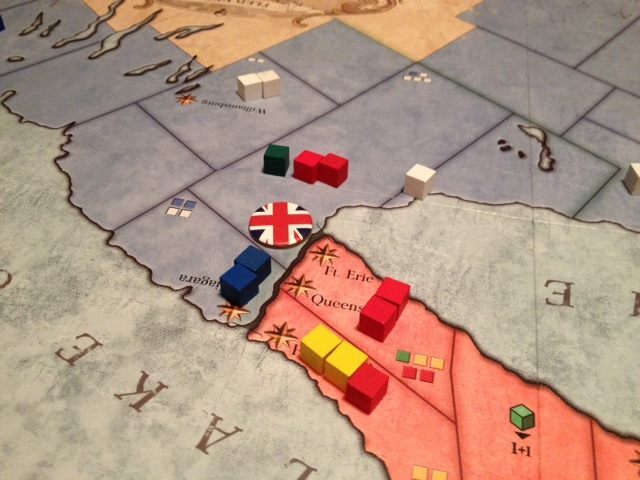 The Children played the American invaders, while The Parents played the loyal Canadian citizens of His Royal Majesty George III and the Prince Regent. The Americans started with a two-pronged assault against the St. Lawrence Valley in the east and the Niagara Peninsula in the west, neither of which went very well. They also began to move up significant reinforcements. The British struck back, seizing Plattsburgh and Buffalo. They also played two of their three truce cards by Turn 3, hoping for a quick end to the war while they were still ahead. They did not yet have the third. The US also played one of its two truce cards early. The war might end at any time! British troops and their Native allies capture Buffalo. First Nations forces also launched a successful raid across Lake Ontario to capture Sacket’s Harbour, New York. Things were looking grim for President Madison. The British, however, could not find the final truce card that would bring the game to an end. Additional American troops were hurriedly mustered at Albany, and advanced north along the Hudson Valley. These successfully pushed the British back from much of upstate New York and Vermont. Mohawk in control of Sacket’s Harbour. American reinforcements can be seen north of Albany. The US also moved large forces to Detroit, and thereafter launched a major offensive into the western regions of Upper Canada. 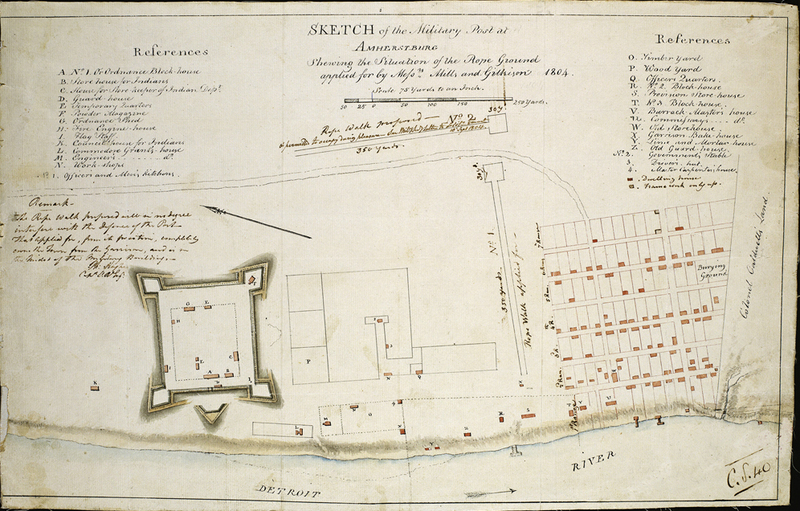 Fort Malden and Amherstburg were captured after a bitter fight. With this, the Americans played their final truce card on Turn 6 and the game came to an end. With each side controlling only small areas of the other’s territory (two objectives each), the game—like the war itself—was a draw.